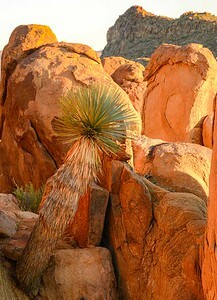 Another visit this year to Big Bend NP with Tom, Terry, Bruce, and George. This year I was excited about scheduling my visit around the appearance of the Supermoon on November 14 but the stars were not aligned and the photos were uninspiring. Nevertheless, I had a chance to experience something I will never see again as the next viewing is in 34 years. 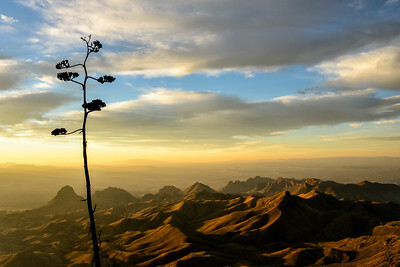 A highlight of this trip turned out to be the climb up to the South Rim of the Chisos Mountains at 2am one morning. We covered 13.5 miles in 9.2 hours and despite rough conditions, I was happy with the experience and took a couple of decent images. 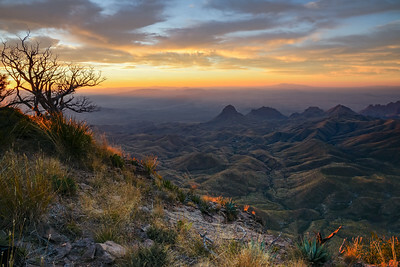 South Rim of the Chisos Mountains at sunrise. 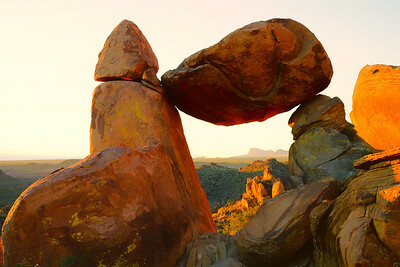 Balanced Rock, Big Bend NP, Texas at sunrise. 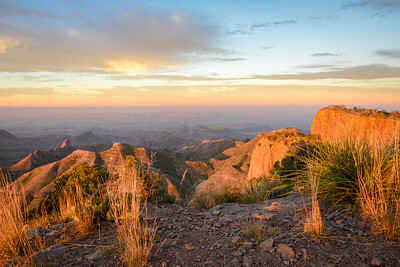 Balanced Rock area of Big Bend NP at sunrise. 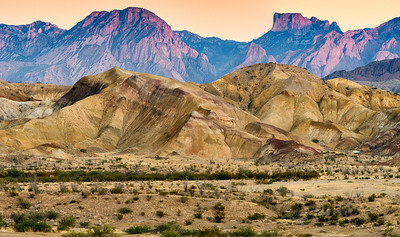 Badlands, Big Bend NP at sunset. B&W of the Badlands, Big Bend NP at sunset. 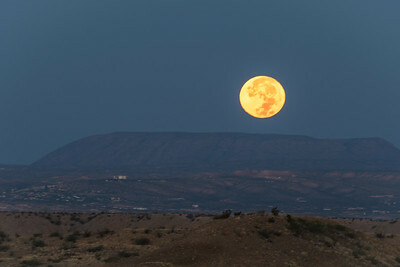 Supermoon rising over Terlingua, Texas at sunset. 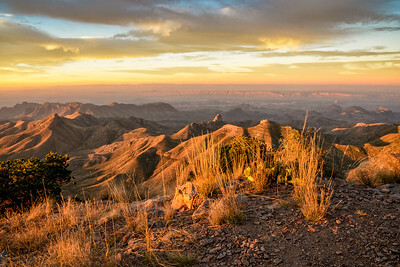 Glen Springs and Nugget Mountain at sunrise with the supermoon setting. 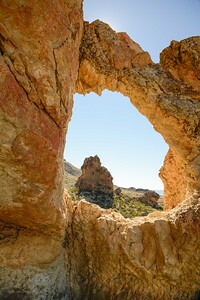 Looking through the window at the petroglyphs area of Big Bend NP.